Drs. Sickels and Hughes, and Danielle Douglas and Gaia Kile are currently accepting new patients. You can learn more about becoming a patient on the New Patients page and you may check the insurance page to learn more about insurances accepted. This web site is an introduction to our office. 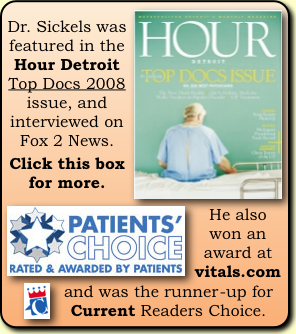 You can learn more about Drs. Sickels and Hughes, and Danielle Douglas and Gaia, their approaches to health, as well as find directions and download forms using the links on the left. If you would like to see Danielle, Gaia, or Drs. Hughes or Sickels, please check the New Patient page. Check out the news/blog page for news about the office or health news and commentary. Now you can even get an RSS feed for it! We will be holding various workshops and events. Please check the upcoming events for more information. Please note that we have many chemically sensitive people in our office, so refrain from using colognes, perfumes, and other scented products when coming to the office. Finally, we offer gentle infrared screening for breast health and pain and neurological conditions. 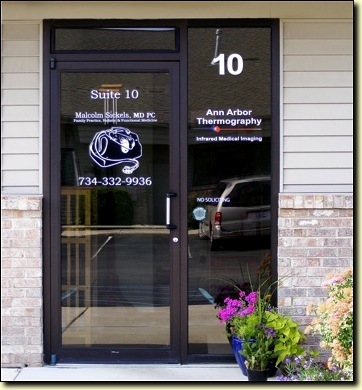 Please check our sister site, Ann Arbor Thermography to learn more.